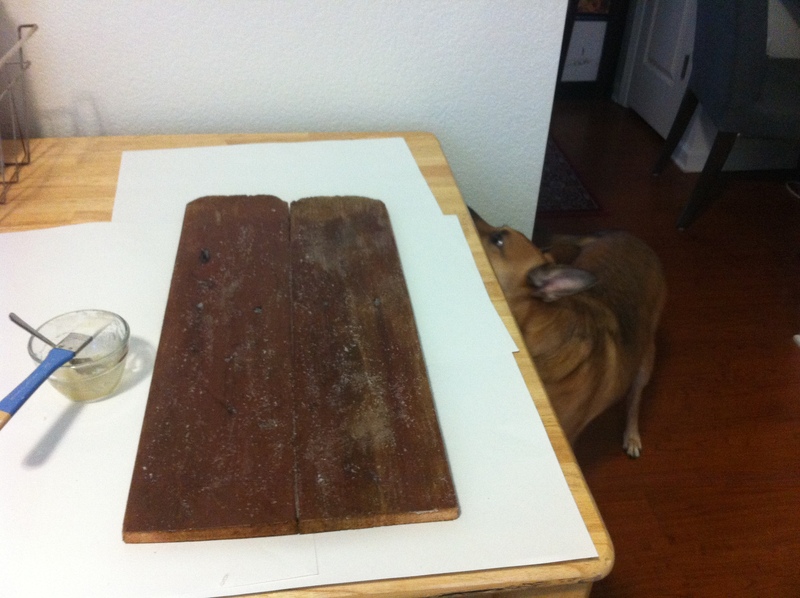 A very interested dog, checking out the gelatin smell. Gel is a little thick with a bit of graininess but hopefully after I smoothed it over and let it dry we’ll see what I have to work with. During my research one of the traditional methods to gesso wood and the linen mounted on the wood was to use animal glue. 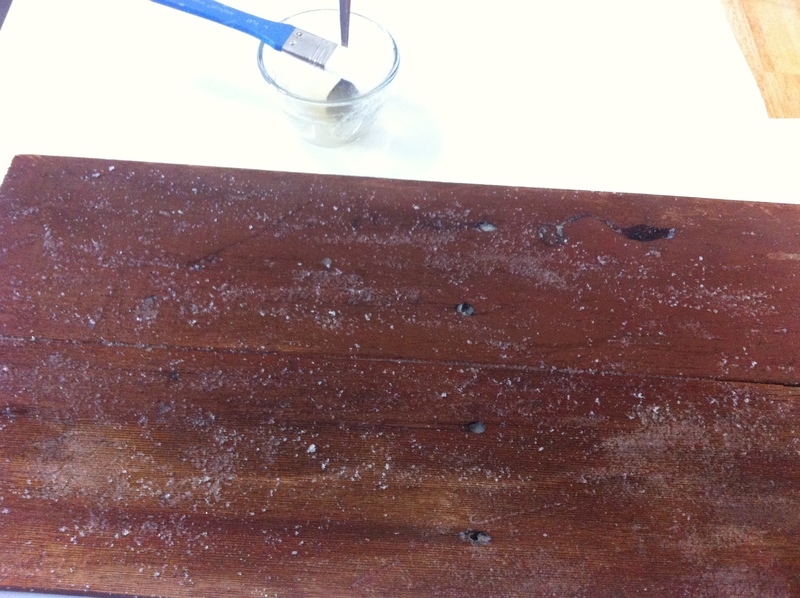 While I’m not attaching linen on top of the wood I wanted to create a surface for the paint to adhere to the wood. I decided that I wanted to try using plain powdered gelatin as my gesso. I just mixed the powder in with a little bit of water and it quickly made a thick gel. I started applying it to the wood and I think because it was from powder form the granules had gelled up but they were still a little solid. I brushed over the area with a wet brush and it seemed to smooth things a little bit. I’ll see what happens when it dries. I know that gelatin is made from miscellaneous “animal solids” but I wasn’t prepared for how much it stinks. I’m glad I went with the gelatin instead of tracking down rabbit hide glue. My dog sure enjoyed the smell though.